Rely on us to unlock the value of your production data! Why do most production analytics projects stumble out of the gate? 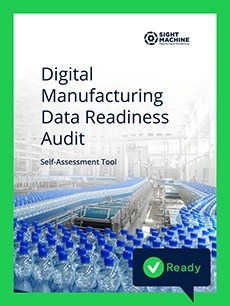 In order for data to support digital manufacturing initiatives, it is critical to understand its readiness for integration with other production data sources. The ability to join, blend and integrate multiple sources of manufacturing data into digital twins of production processes, lines, plants, and parts. Become a data-driven manufacturer. Will the data enable real-time integration with other sources for analysis? What will it take to make the data suitable for integration? How will project budgets and timelines need to be adjusted? What changes to their data capture strategies will enhance readiness? By providing a consistent methodology to assess data, manufacturers can establish a common vocabulary for describing the usability of data. Start understanding your current data landscape today!